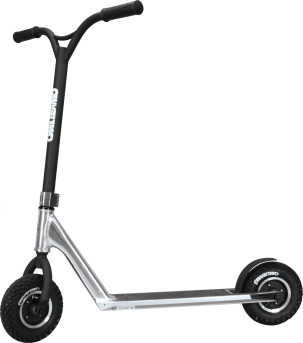 The California Longboard scooter is the ultimate ride with its super stylized deck and an integrated kick tail. Surf the strand on this classic alternative even The Duke would approve of. Slide the adjustable height handlebars for your choice of ride. Whether you are up for a relaxing ride or dropping them low and scooting old school, the Razor California Longboard Scooter is an amazing ride. Cruise into the sunset.